If you are conscious about online security, it is prudent to say that you will be thrilled by the progress made on behalf of Apple in this field. In fact, there are quite a few security details that can make substantial difference in the overall online protection matter for all users. So, whether or not you are tech savvy, you are going to love these simple details that are built-in on Apple devices, offering the optimal user experience and a touch of extravagant security. Things like System Integrity Protection can be life-saving, due to the fact that Mac does not allow information you set to be altered in any way. As a result, you can rest assured that nobody is messing with your device, trying to compromise it. Mobile Device Management, on the other hand, aims at remotely controlling your devices. No matter if you wish to install a printer or download updates on your laptop, you can easily do that remotely and have all the power in your hands. File Vault or else full disk encryption can be proven extremely helpful to all users worldwide. Protect everything within your computer for free, with the benefits offered by encryption. Gatekeeper now allows only well esteemed apps to be downloaded on your device. You cannot download anything other than certified apps from Mac App Store, minimizing the threats that you will have to face. With Application Sandboxing, you can control which resources to use access to. This will lead to better control of apps and other functions on your device. Address Space Layout Randomization does exactly what it promises, randomizing the place where memory runs and giving penetrators a hard time, as they try to exploit the system. XProtect is a type of antivirus software that allows extra protection online, while there is also the Remote Lock that protects mobile devices to the fullest. Additional remote wiping options are available. Now, in Safari you have got the chance to strengthen your defenses against phishing. Warnings of phishing emails can save the day for you! Mac App Store is itself pretty cool, in terms of online security. You may authenticate the certificates of the apps and see if they are legit and safe to download. In this way, you do not need to run some extensive research as to which app to download and which to avoid at all costs! Moreover, the iCloud Keychain encrypts the passwords you make use of and offers a safe way to store them all neatly. 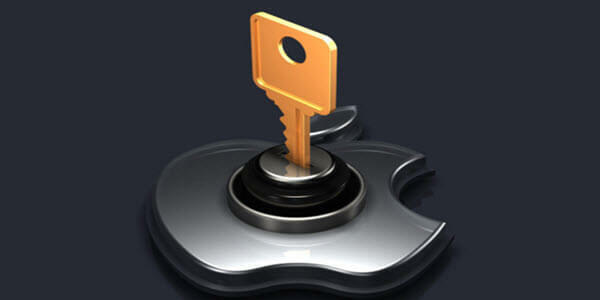 Activation Lock allows devices to be locked, once they are not tied to their Apple ID. This will most likely become even more intense in the near future, with the problem of controlling stolen Apple devices possibly off-putting criminals from pulling their theft on. The Application Firewall runs in combination with the Gatekeeper and restricts the resources where your device gets access. Another interesting option for Apple users! Moving on to the Time Machine, this is a built-in backup option for the people who wish to have access to their data, even when something goes wrong. It is a free alternative and it can save the day, in cases of flawed backup strategies on behalf of the user. Of course, we could not forget the use of VPNs and other options that enhance online security. It is now easier than ever for Apple users to take matters into their own hands and make the most out of online protection. Cool design, advanced apps and functions, great modern cameras and all the rest go hand in hand with strengthened online security for Apple in 2016!